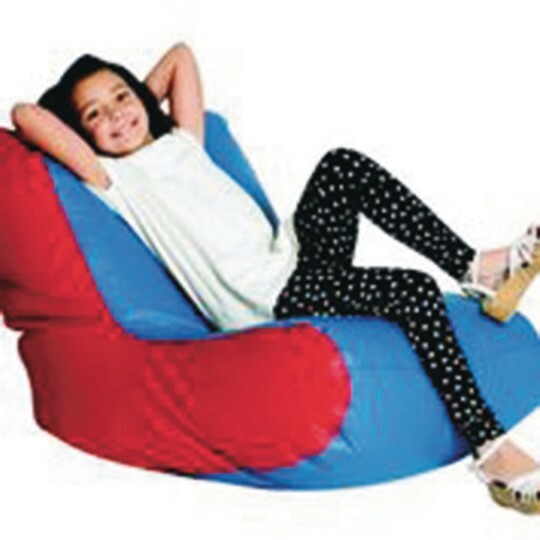 Comfortable and durable vinyl high back beanbag features double-stitched seams and a double safety locking zipper. Tested and approved for ages 2 and up. Sized for ages 4 and up. Please specify Blue/Green or Blue/Red when ordering.